OK now I can clearly understand by looking at the picture above. 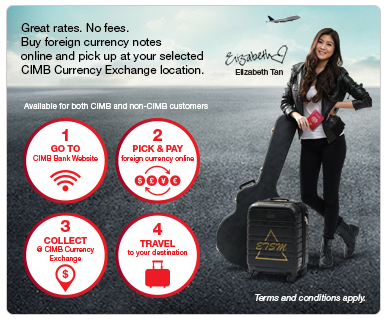 Let say if I want to buy One Thousand American Dollar USD 1000 from CIMB Travel Currency can I get Elizabeth Tan number hehe. 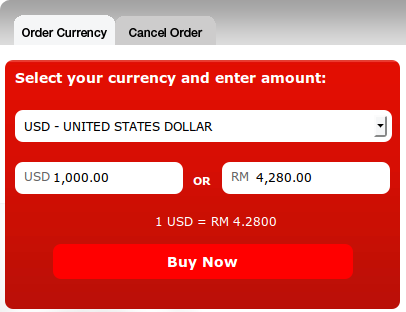 First I need to go to CIMB Travel Currency Site. Select my American Dollar from the foreign money list. Next screen, my order will be listed. I can also add more foreign currency. Let say I want to buy Euro currency, I just can click Add another currency plus sign. 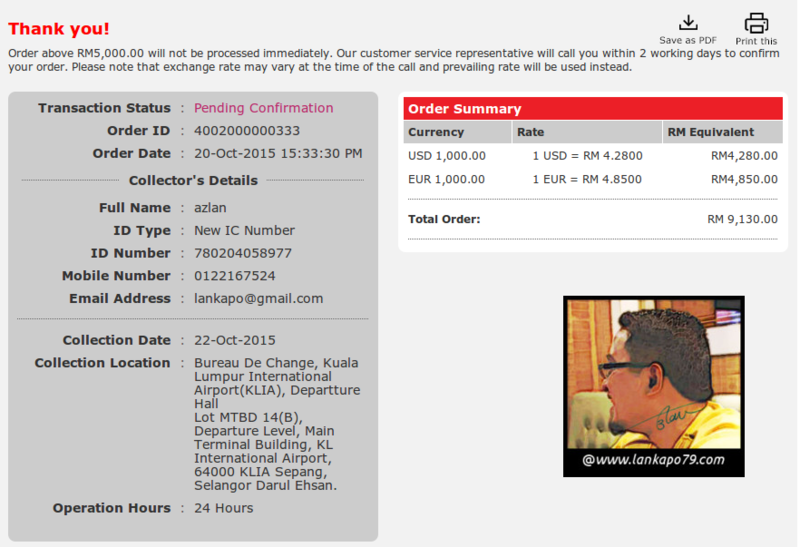 For Collection details, I need to enter my personal details and bank location to pick up my Dollar and Euro money. You can select location from CIMB Branch at all major airports including KLIA and KLIA2. Unfortunately for amount more than RM 5000, CIMB staff will call you first within 2 days to confirm your order and after that you can proceed to make the payment. This to make sure that you a not a scammer. Lastly, you final order page will look like this. **If you order is below RM 5,000, you can proceed to pay the amount via CIMBClicks or from other bank. Please make sure, the person that is going to collect the money at the selected bank must be you and all details are exactly match with the form you filled. If you want other people to pick it up, it is not possible. You can call CIMB to rearrange pick up time. You have 60 days to pick up the money you ordered, so please plan wisely.